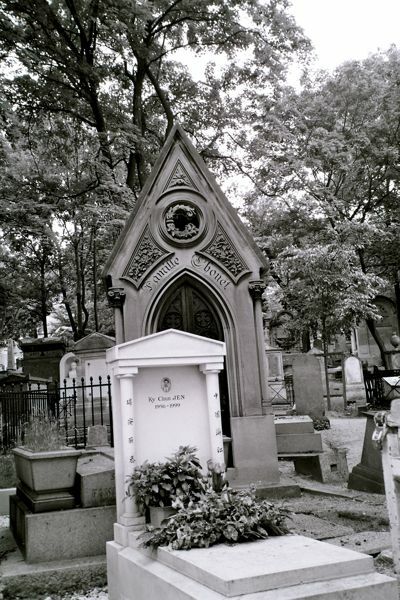 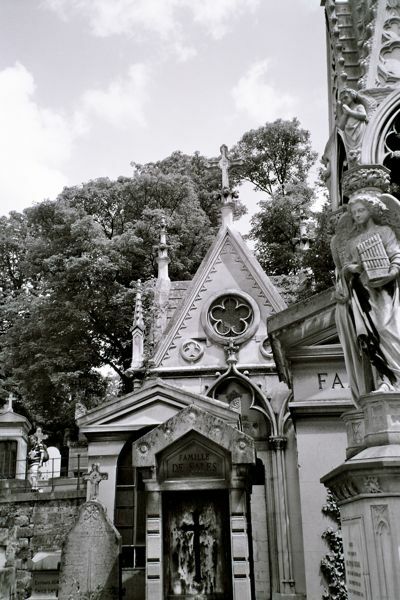 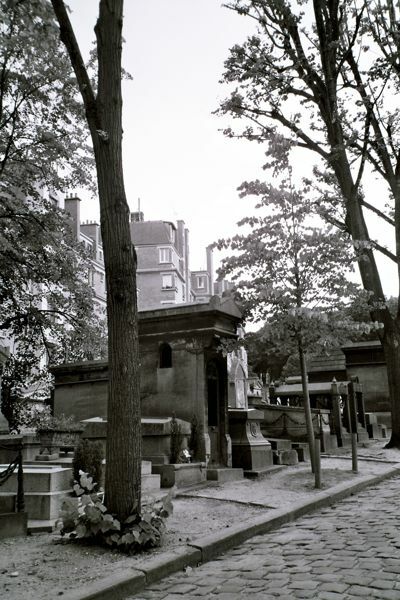 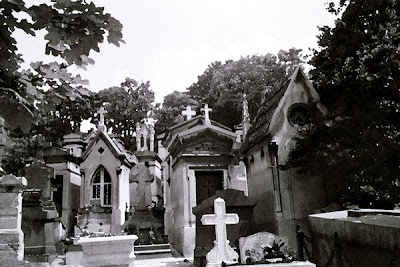 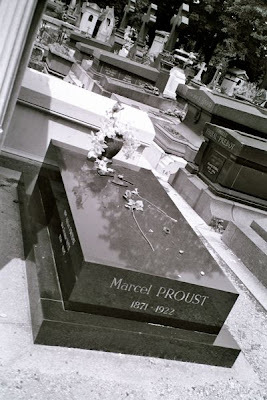 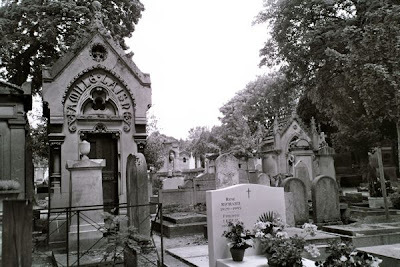 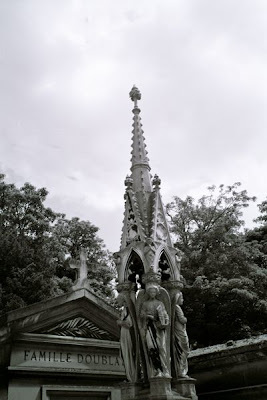 Pere Lachaise is perhaps best known as the final resting place of Jim Morrison, but his "neighbors" include literary luminaries Gertrude Stein and Marcel Proust as well as Simone Signoret, Yves Montand, Bizet...the list goes on and on. The website's searchable, interactive map shows the location of illustrious residents. Clicking on the corresponding cross brings up a photograph of that grave. The French influence in Greenwood New Orleans (and other cemeteries there, like the famous St. Louis No. 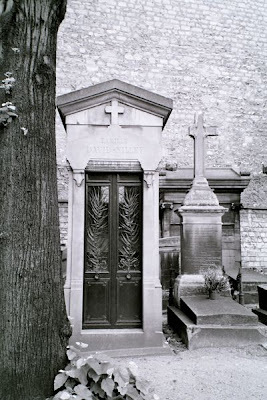 1) is clear with a cursory comparison with Pere Lachaise. 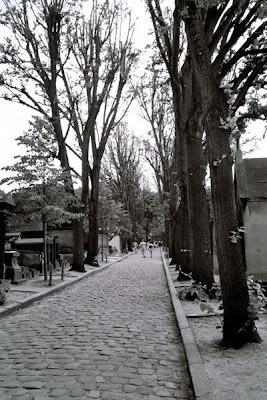 All photos taken with a point & shoot film camera, using C41 B&W film. Some photos were edited in Photoshop, using a watercolor filter.